Labor Day or May Day in Indonesia celebrates workers rights. This holiday takes place May 1st each year. 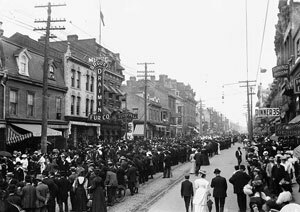 On this day, organizations gather together and have parades to campaign for workers rights. It is also an occasion to give spring flowers to family and friends. All stores are closed other than airports and railway stations. The idea of working for 8 hours a day came around on April 23, 1919. From 1944 and 1947, there was no workers rights holiday. The holiday became official on April 29, 1948 and was called Labor Day.